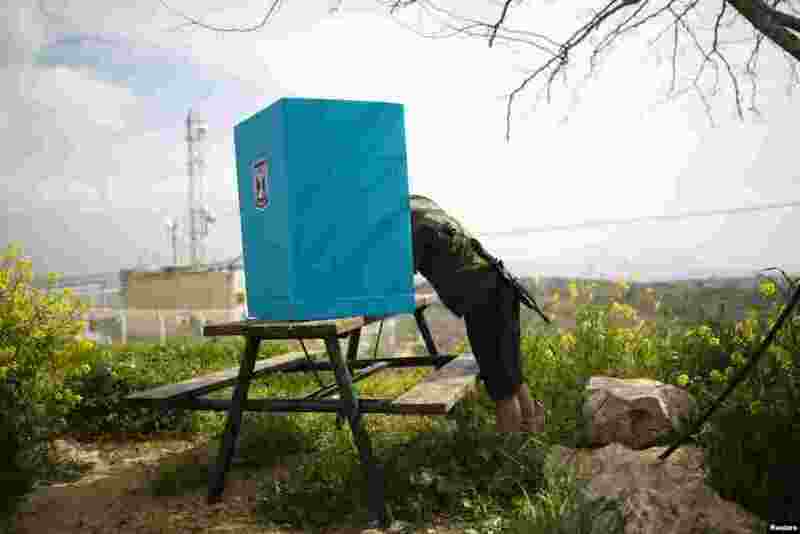 ৫ An Israeli soldier casts his ballot for the parliamentary election behind a mobile voting booth in the West Bank Jewish settlement of Migdalim, near Ariel. 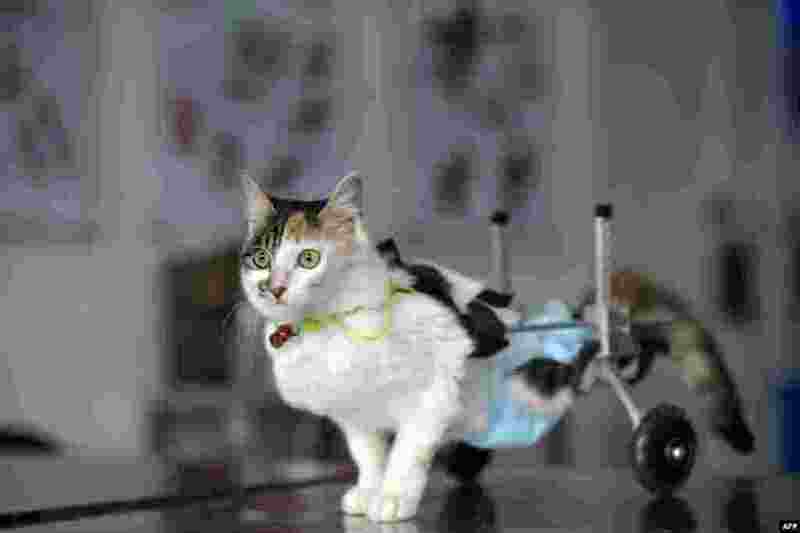 ৬ Eight-month-old cat Hei Hudie meaning "black butterfly" with a special walking aid in a pet hospital in China's southwest Chongqing municipality, March 16, 2015. With the help of some good Samaritans, Hei Hudie had four surgeries within five months after it fell from the tenth floor of a building, and managed to live on with both of its hind legs disabled. Doctors equipped the cat with a special wheelchair to help it walk, local media reported. 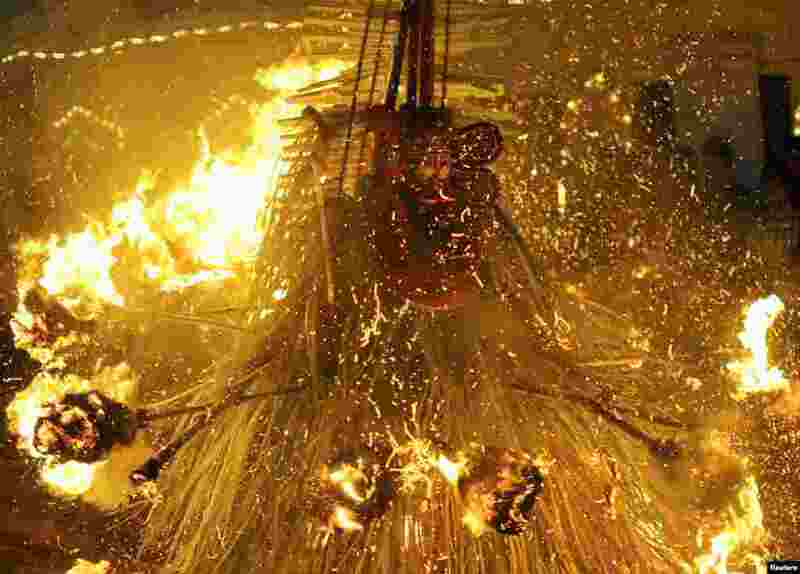 ৭ An artist dressed as Hindu god Kandakarnan performs a ceremonial dance with fire during the Theyyam ritual in Somwarpet town in the southern Indian state of Karnataka. 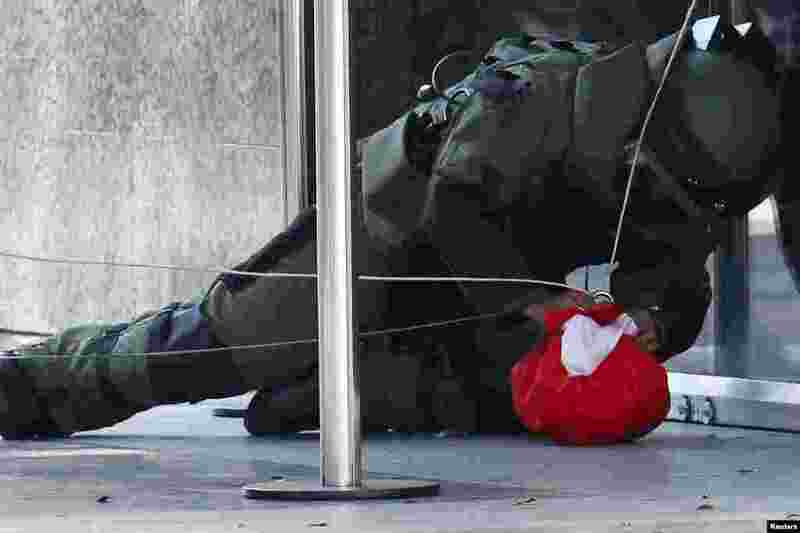 ৮ A bomb expert works on a package suspected to be a bomb, at the entrance of the Venezuela Central Bank in Caracas.